Rose Hill Historic Cemetery Costumed Tour is NOT a haunted tour, not tales of the crypt, or spirits (that I know about:) We have always been a historic tour telling the documented, highly exciting and interesting stories of the people buried there. Our brand has always been, will always be teaching history and heritage through the arts of storytelling and drama. We highly respect those buried in Rose Hill Cemetery. All of our stories we tell are documented through Lauderdale County Archives (thanks Leslie Joyner and Ward Calhoun). We are a vital participant of Mississippi's Creative Economy Project. 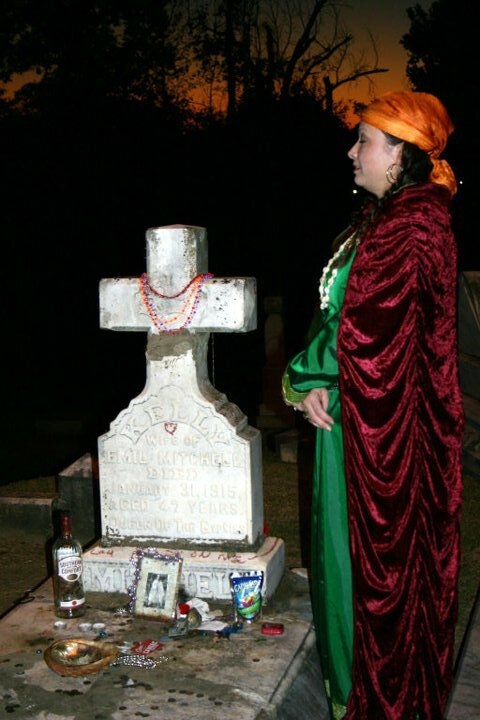 Anne McKee is the Director of the Rose Hill Cemetery Costumed Tour, Meridian, Mississippi. The planning stages of the Costumed Tour began in 2009 and was first presented in October 2010. Rose Hill Company was created in 2009 - a group of volunteers, which include storytellers, historians, teachers, and supportive citizens of the Meridian area. who value history. Rose Hill Company partners with Lauderdale County Archives and History, Inc. in order to tell stories that are historically significant. In 2011 the tour was moved to the last Saturday in September and tour has become an annual event bringing visitors from all over the country! An estimated 6,000-7,000 attendees have walked the tour during its five year run - people of all ages and ethnicities. The tour will continue as long as there is interest. It is free and open to the public. There are 100 plus volunteers who work under Mrs. McKee's direction in order to present the event. 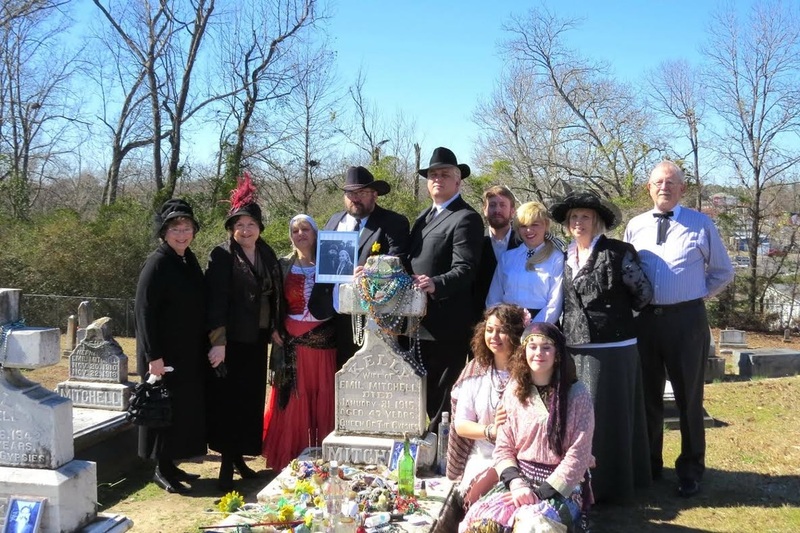 In addition to the cemetery tour, a memorial service was conducted on February 7, 2015 to commemorate the 100th anniversary of death/burial of the Gypsy Queen, Kelly Mitchell. Beginning with the 2014 Tour, Stage 2 joined the Rose Hill Company. Stage 2 is a youth theatrical group based in Meridian, Mississippi. 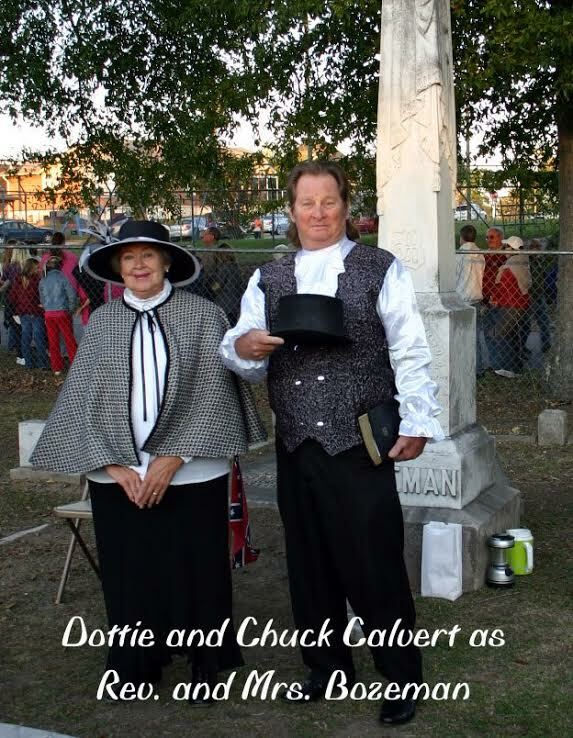 The mission of MPAC (Stage 2) is to promote the performing arts through education and involvement in productions and community outreach, and to develop, through partnering, the community's appreciation of the performing arts.
. For more information on Rose Hill Cemetery Costumed tours you can visit the website: http://www.historicrosehillcemeterytours.com/ and visit the Rose Hill Company Facebook Page. 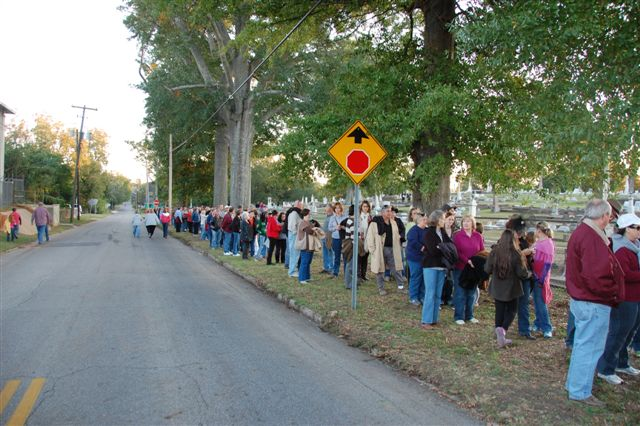 Rose Hill Tour -- The people are lined up and anxiously waiting to get through the gate! - Photo by Billy Bradford. The 2011 Tour - Photo by Margaret Remy. A few of the ladies that tell the fantastic stories of Meridian's History at the Rose Hill Tour. Standing left to right: Barbara Wells as Mrs. Shackelford, Anne McKee telling about the Yellow Fever Epidemic if 1878. Seated Brenda Stewart as Nebraska Carter Read, wife to Lt. Charles "Savez" Read, and the only woman interred in the Confederate Mound. During the 2010 Tour, Anne McKee portrayed Mattie Wedgeworth, a Mississippi lady whose heart was captured by a Yankee Soldier from Indiana, Charles Rubush. Mr. Rubush was portrayed by Anne's Husband Doyle McKee. 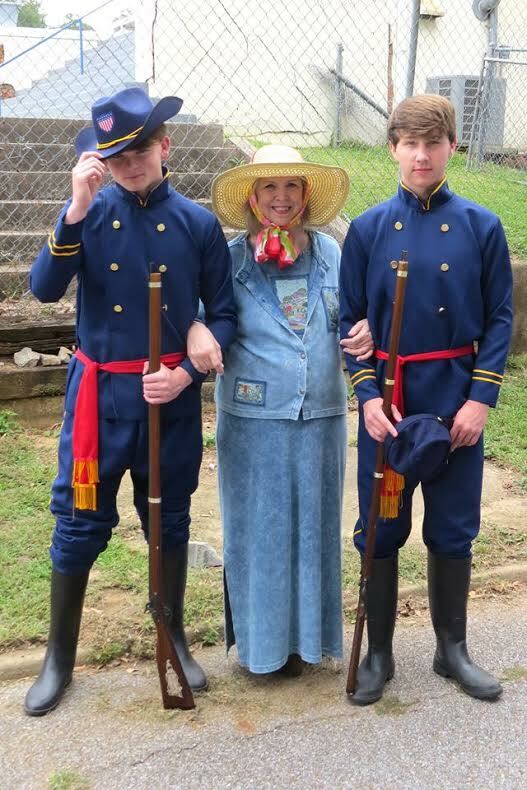 Two of the young men from Stage 2 portraying soldiers at the Rose Hill Tour 2014, and Anne McKee. 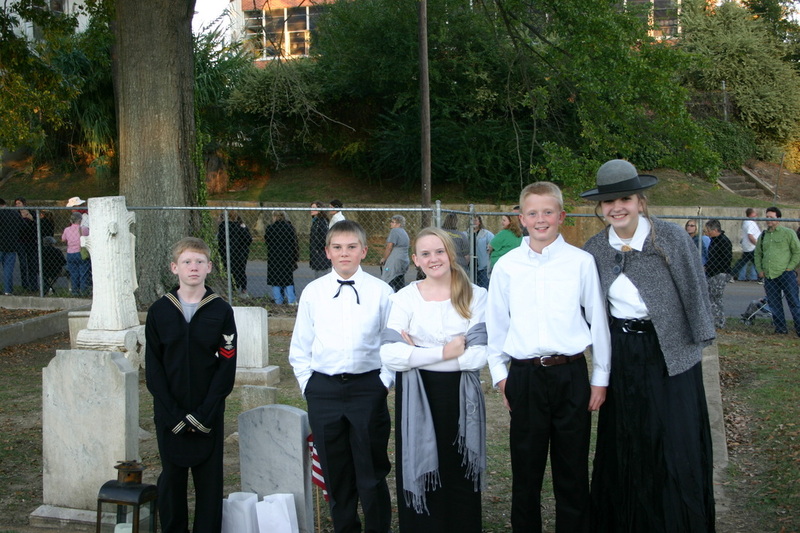 In 2011 Students from West Lauderdale Middle School told the story of World War 1 Sailor Montague Delauncey, who was lost at sea when his ship sank. Michelle Joyner as the Gypsy Queen Kelly Mitchell. Gearing up for the 2015 tour!